If you have less-than-perfect credit scores or some financial challenges in the past, you shouldn’t give up hope when it comes to buying a home. Federal Housing Administration loans, commonly called FHA loans, can help you get the home of your dreams. Here are five things you should know about FHA loans before you get apply. The most common misconception associated with FHA loans is that the money for the loan comes directly from the federal government. This is not the case. FHA loans are provided by the same lenders who offer traditional mortgages. The only difference is that the federal government essentially insures the loans, which helps the lender recoup its losses in the event you default on your loan. In fact, the lender still gets to determine all of the rates and terms associated with an FHA loan, and this is why the criteria for qualification varies so drastically. Although FHA loans are great alternatives for people who have run into some financial troubles in their lives, you’ll still need a minimum FICO score across all three major credit bureaus to qualify. Although many sources claim that you can get an FHA loan with a credit score as low as 500, the vast majority of lenders will require a score of at least 620. There are some who may provide you with a mortgage with a credit score close to 600, but in these cases, you’ll need to be in the process of establishing credit, not repairing it. Traditional lenders may require you save up a down payment of up to 20%, which is out of reach for many people in today’s economy. In some cases, you can be approved for an FHA loan with a down payment as little as 3.5%. This can make a huge difference if you have challenged credit; after all, that huge reduction in your down payment can go a long way toward paying off existing debts. FHA loans aren’t just good for first-time buyers. In fact, many people use them to get out of foreclosure. The MHA, or Making Home Affordable program, works in conjunction with FHA loans to help keep individuals in their homes. Refinancing with an FHA loan may help ease the financial burden and allow you to make smaller, more affordable monthly payments. If you can get a great deal on a fixer-upper, keep in mind that there are government programs that will help you get money for those repairs in the same loan as your mortgage. In fact, with FHA, you can get up to $25,000 rolled right in. This gives you an excellent opportunity to make needed repairs, and since you can avoid taking out a second loan, you’ll get a fantastic interest rate, too. FHA loans are increasingly popular among first time homebuyers, homeowners who find themselves unemployed, and those who owe more on their homes than their homes are actually worth. 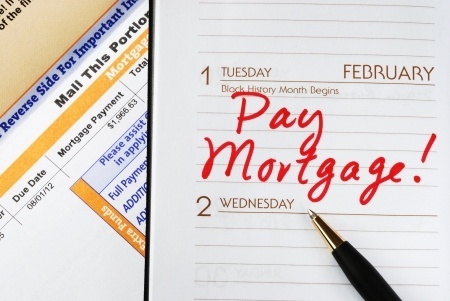 If you’re having trouble qualifying for a traditional mortgage, ask your bank about FHA loans.